When you think of Stockport, you don’t imagine this industrial town producing the heroes of modern music, but that’s exactly what they’ve done with Blossoms. Since the release of single You Pulled A Gun On Me in 2014, the five piece have sold out shows across the country, supported musical heavyweights The Stone Roses and their self-titled debut is heading for Number One. Not bad, eh? Taking inspiration heavily from the ’70s and ’80s, Blossoms have created a glossy, hit-laden record that greatly deserves the praise it’s so far garnered. Opener Charlemagne is the epitome of hit as keyboardist Myles Kellock produces glittering pop that immediately seems familiar as Tom Ogden delivers lyrics laced with metaphors. At Most A Kiss is the love child of T Rex and Arctic Monkeys with its glam rock edge and falsetto vocals. Getaway and Honey Sweet take a break from the poeticism of the first two songs with simpler lyrics and it’s a credit to Ogden that he manages both styles with such ease. Seeming a decent but forgettable song, Onto Her Bed soon changes your opinion as it descends into a swirling dream state with the confidence being replaced by desperation before the status quo is returned to in Texia, cinematic in its sound. Galloping drums drive the band through old favourite Blown Rose before James Skelly’s production shines on Smashed Pianos, the sultry sound crackling as if from a gramophone before the self-examining chorus kicks in sharply. Jangling electro-pop that Bernard Sumner would be proud of is found on Cut Me and I’ll Bleed while My Favourite Room changes decade and sees the band give their version of romantic Britpop. Penultimate track Blow is by far the stand out track on the album thanks to Josh Dewhurst’s fuzzy guitar solo and the bluesy edge the bass gives the psychtronic tune. Deep Grass follows much the same formula and, although it is the longest on the album, could be twice as long and it would still end too soon. Just last week the band admitted “we want to be massive and we’re ready for it”. Well it’s a good job because not since Arctic Monkeys hit the scene has a band garnered so much hype and deserved it. With a debut this good, their meteoric rise shows no sign of stopping. 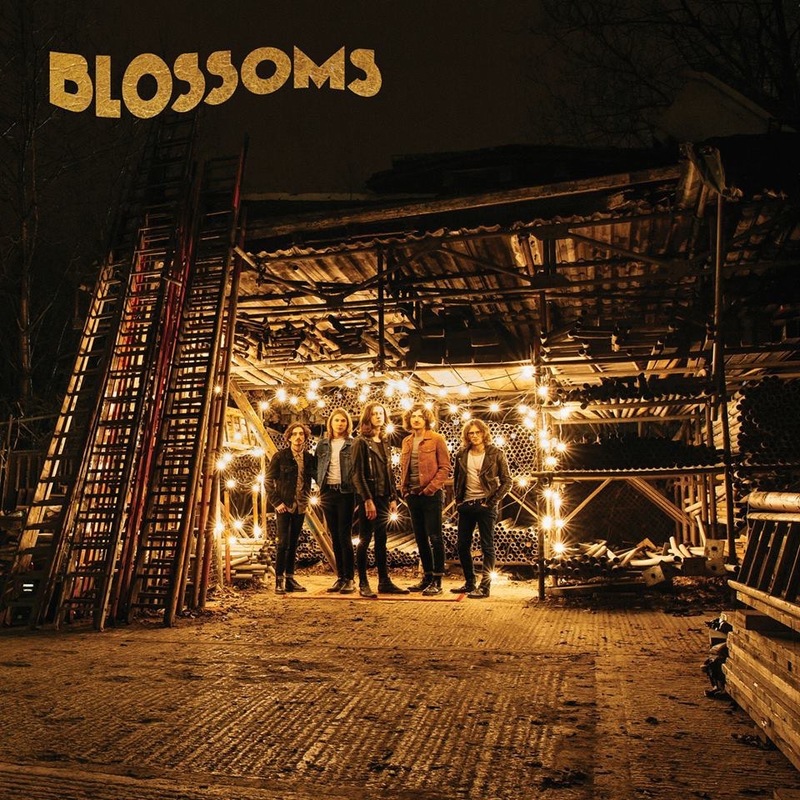 ‘Blossoms’ by Blossoms is out now on Virgin EMI Records.